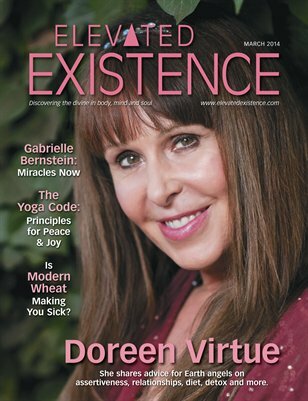 The March 2014 issue features an exclusive cover story interview with bestselling author Doreen Virtue. She offers advice to Earth angels on assertiveness, toxic relationships, detoxing the body and more. Also in this issue, an interview with Dr. Wayne Dyer on his new book "I Can See Clearly Now;" Gabrielle Bernstein's new book "Miracles Now," based on A Course in Miracles, Kundalini yoga and more; The Yoga Code, applying 10 principles from the Yoga Sutras; Sonia Choquette's column on Intuitive Intelligence; a new column on animal communication by Joan Ranquet; The Raw Food Diet and more!